Almost finished smoking Old Dark Fired in a smooth briar calabash shape 1984 Fero Danese made in Italy with a black vulcanite stem. Ice water and bergs is my evening. And now I'm locked outside of my house with an empty bowl and my wife doesn't get home till 11. 34 degrees out... gonna be a fun night. Now smoking Dunhill Durbar in a 2003 URAL full bend big bowl egg shaped Lattice meer with a black acrylic stem. D&R Rimboche A.P. in a smooth straight WW2 Pre-Republic Peterson Sterling Canadian with a sterling silver band and a black vulcanite p-lip stem. McClelland's 2035 in a persimmon squashed tomato, 12 inch maple stem. Now smoking Savinelli 140˚ in an unbranded undated (1980s?) straight smooth flat bottom apple with a black vulcanite stem. Working! C&D Bayou Morning aged 5 years in my 1987 purchased in Turkey Eagle Claw Egg Meerschaum with a yellow and white bent acrylic stem. 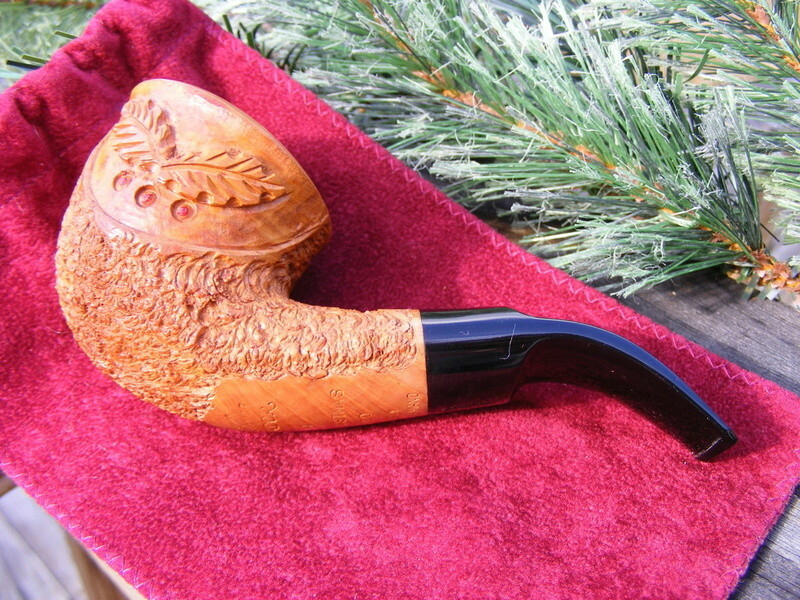 My Budd III in my MM Country Gentleman pipe dedicated to my cigar leaf blends. Hello from Greece, the sun is present here in Athens although the temperature isn't high. Briar Patch Ramsgate - Stanwell, espresso plus cool water as companion. Almost finished smoking Sir Walter Raleigh in a medium bend 2002 MM Legend cob with a black stem. Black Frigate in my custom made Algerian O'Donnel poker pipe with an orange and black stripe Cumberland stem. Below is a picture of the Stanwell Royal Guard and my Stanwell #95. The Royal Guard is the pipe in the back of the #95. I purchased the #95 from a member of another pipe forum I use to belong to, because the Royal Guard was gifted to me from the gentleman I purchased the #95 from and thanked him in the public forum, it got some other members upset that they were not gifted. Two members actually sent me a few nasty PM's. A bunch of babies and I asked to have my account closed. Lesson learned, NEVER thank someone in a public forum, send a PM!! Good medicine and advice Ted! Currently not smoking anything as im working but i saw this post and wanted to chime in. Thanks again for the good advice Ted! Enjoy those are some beautiful pipes. Starting off my smoking day with Stonehaven in a 1998 smooth medium bend Peterson Limerick 69 with a nickel band with a black vulcanite p-lip stem. A bottle of Mountain Dew made with pure cane sugar is my drink. Almost time for Mad Dog Russo. 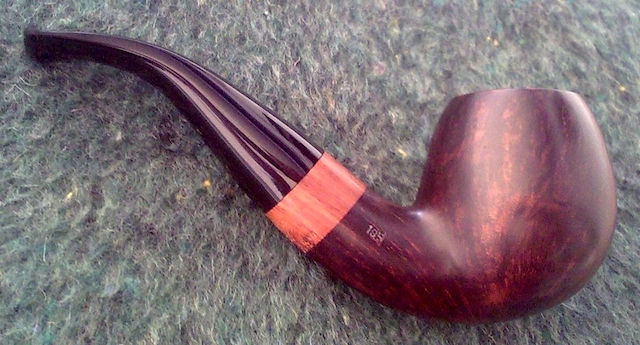 Captain Earle's Ten Russians aged 5 years in my Bjarne medium Apple pipe with a bent stem. A couple minutes away from smoking D&R VIP in a 2004 smooth long shank Canadian Trever Talbot Ligne Bretagne Faite en Bretagne 4/3 with a black vulcanite stem. A bottle of Mist Twst is my drink. Granger aged over 35 years, an enjoyable smoke. Pipe of choice: Stanwell #95. 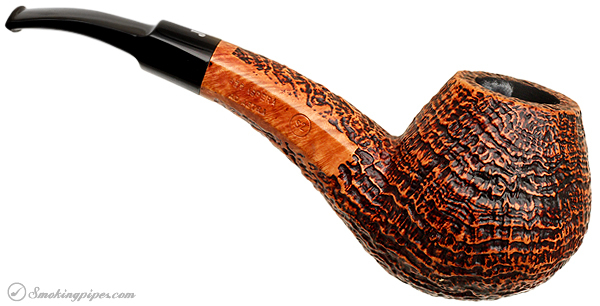 It's a carved chubby pot style but I do enjoy smoking the Stanwell Royal Guard much more. Stanwell still makes a well crafted pipe with no fills even though it's made in a factory in Italy. Same as all the Aldo Velani pipes and many others.